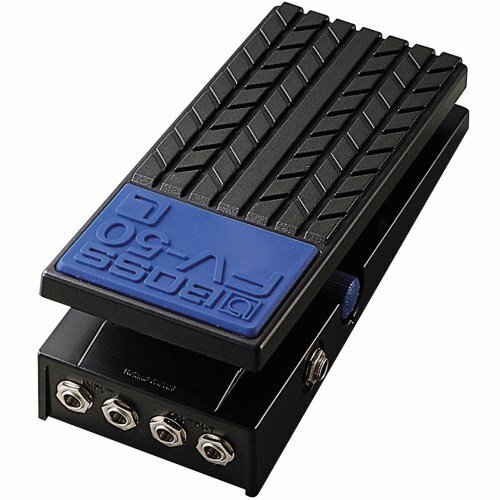 The low-impedance FV-50L is a stereo volume pedal that can be used for a wide variety of purposes including keyboards. Enables direct control of stereo keyboards and stereo effects units. Minimum Volume knob lets users set minimum volume as desired. Convenient Tuner Out jack enables speedy tuning on stage. Low-impedance, stereo volume pedal that can be used for a variety of purposes including keyboards. Enables direct control of stereo keyboards and stereo effects units. Minimum Volume knob lets users set minimum volume as desired. Convenient Tuner Out jack enables speedy tuning on stage.